In short, Interfolio lets applicants know if there are quality issues regarding the received letter of recommendation. The quality check takes at most 4 days. What types of Signatures does Interfolio Identify? When does Interfolio Quality Check letters? Users can view quality check details, or make exceptions to them by clicking on the View Details link from their Letters page. For our premium-paid users of Dossier Deliver, we will submit a letter to quality check as soon as they arrive in your account, or, for the letters that are already within your Dossier, when your account is upgraded to Dossier Deliver. QC takes approximately 4 days. Every time you request new letters, and it's received, Interfolio checks those letters for quality (more details below). We will provide assistance communicating errors to Letter Writers in the form of e-mail and in-product viewer. The process provides reassurance when your letters are OK and ready to deliver, reduce the surprises from your confidential letters and rest assured. If you upgrade to Interfolio Dossier Deliver account, then all of your unchecked letters will be sent to Quality Control, so you can rest assure that it contains desired features. If you receive a letter while you have a free Dossier account, we will check your letters when you choose to send them in a free delivery, or when you decide to upgrade your account to Dossier Deliver. What does Interfolio check during the Quality Check (QC) process? Applicants will be notified of the results of the QC process within four business days. Interfolio employees will never disclose the specific or summarized contents of the letter of recommendation. Through the Quality Control process, Interfolio will notify applicants of specific details or qualities of their letter (letterhead, signature, etc), as described in the article below. Interfolio understands that signatures are in most cases a requirement. Along with informing you whether one exists, we will also let you know what type of signature is in your letter. Keep in mind that most institutions, fellowship programs, and various other opportunities may require the traditional handwritten signature. If by chance your letter includes another type of signature or no signature at all---it is your responsibility to get in contact with the letter writer/evaluator in order to get that letter updated with the proper formatting. A signature (/ˈsɪɡnətʃər/; from Latin: signare, "to sign") is a handwritten (and often stylized) depiction of someone's name, nickname, or even a simple "X" or other mark that a person writes on documents as a proof of identity and intent. 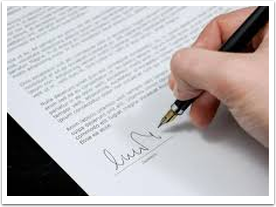 The point is the handwritten signature has to be written on the document by the signer. The digital signature is simply a small block of data that is attached to documents you sign. It is generated from your digital ID, which includes both a private and public key. The private key is used to apply the signature to the document, while the public key is sent with the file. 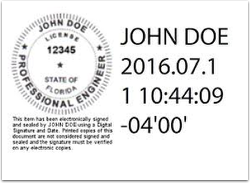 Digital signatures usually include a mark or stamp to authenticate it. Most organizations will accept a digital signature in place of a handwritten one. A digital signature is a type of electronic signature that encrypts documents with digital codes that are particularly difficult to duplicate. When the writer typed their name in the signature block and changed the font to a more stylized type font, or does not include anything in the signature block. These are not considered a signature. When will Interfolio Quality Check? When you use a letter of recommendation in a delivery, we will QC the document at that time. Once you upgrade to Dossier Deliver, we will QC all of your letters that were submitted on March 2018 and after. If you have a letter that was submitted prior to March 2018 that needs to be QC'd, either include it in a delivery or reach out to us directly to have it QC'd. You do not have to wait until your letter is QC'd in order to use it in a delivery. We will QC all letters included in a delivery. Next: About: Letter Quality Checks, "Quality is checked upon arrival", what does that mean?